"Farmer" Agnė Širinskienė says she dislikes speaking about red lines, however she also notes she has limits, which if exceeded, would lead to swift decisions. The politician is often perceived as a sort of grey eminence, with matters such as Social Democratic Labour party funding arriving in Seimas through her. She finds that this may simply be her fate as a jurist by profession, with this leading to work in the Seimas Legal Affairs Committee, which deals with a significant portion of Seimas projects and paperwork. In respect to the controversy over efforts to obtain funding for her party's coalition partners, A. Širinskienė points out how this project arrived in her committee from the cabinet, signed by the prime minster. "It is natural that the committee chairperson was the one to register this project, which was done. There wasn't really any other option for whom to register it. Unlikely that the chairperson of the Healthcare Committee could," she remarks. Another controversial matter the Legal Affairs Committee chairwoman is related to is an ad hoc investigative commission formed with her in charge, with many questioning the need for it and the 2008-2016 timeline it has selected. A. Širinskienė points out that the Seimas National Security and Defence Committee found MG Baltic and other interest groups to have truly started gaining strength in specifically 2008-2009, which is why such a period is focused on. The "Farmer" politician questions, why the Conservatives are complaining so prominently, given that the investigation encompasses not only their term in power, but also that of the Social Democratic Party, many of whose members are in the current coalition through the Lithuanian Social Democratic Labour Party. As a follow-up, she questions, why, given the availability of various pieces of information, no actions were taken against the growing power of influence groups. A. Širinskienė assures that once the commission's work is concluded, all the meeting protocols will be made public, which will clearly prove the gravity of the work being done. The commission is also controversial due to a number of figures present in it, who have dubious reputations, something emphasised by fellow Seimas group member Vytautas Bakas. A. Širinskienė emphasises that all the participants have permits for work with classified information and in this respect all the MPs are equal. She, however, concedes that one of the figures in the centre of the controversy - Artūras Skardžius – has a certain reputation formed in the public eye and has been spoken to regarding his participation. She believes he will take steps to eventually address this one way or another. 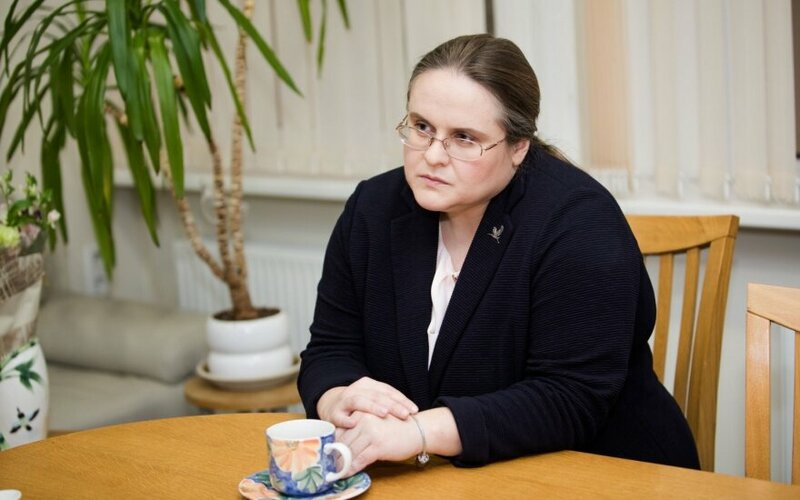 In regard to the difficult relations between her and V. Bakas concerning the work of the ad hoc commission, A. Širinskienė questions V. Bakas' motivations, stating that his actions appear to be pandering to the opposition. "To me, the only explanation is that such pandering to the opposition appears from a desire to maintain stability in the committee. This is because that committee is one those controlled by the opposition because it has a majority in it. That must be admitted," she states. When asked, what her plans are for the second half of term and what expectations she has, what red lines she has set, failing to achieve which, she would feel like entering government is futile, A. Širinskienė notes, "Just talking about red lines causes me allergies. I do not know if politicians should have any red lines, unless there is some massive partisan betrayal of their programme because politics usually demands the art of dialogue, not drawing of red lines." "Yes, having limits is important. If it so happened to me as did to R. Dagys and A. Ažubalis this weekend, where their party leader stated that traditional Christian values are Kremlin values, if I heard this from Karbauskis, I would make a decision faster than R. Dagys and A. Ažubalis. But these have to be tectonic shifts in the party's programme for any talks of red lines. In practice, we hear about red lines in far less significant matters and this breaks down dialogue," she concluded regarding settings limits, drawing upon the Homeland Union – Lithuanian Christian Democrats' internal discord. In terms of what she wishes to achieve by the end of term, A. Širinskienė points to the issue of confiscating private property, a matter that has been in limbo for a decade now. Also, she hopes to continue supporting budget socially sensitively directed budget initiatives. "The growth of children's money, increases in other social initiatives, increases in pensions, all this allows people to live with more dignity. We must admit that in Lithuania there is a massive gap between those earning very little and very much," A. Širinskienė stated.